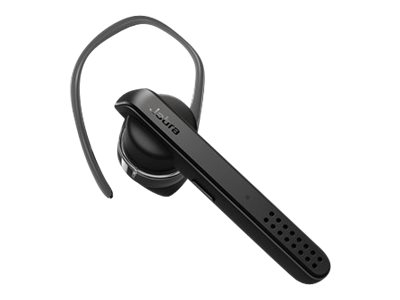 Jabra Talk 45 mono Bluetooth headphones are engineered for crystal-clear calls with noise cancellation. Enjoy high definition, 2-microphone wireless calls with an omni-directional microphone and HD Voice, and stream GPS directions, music and podcasts. Up to 6 hours of battery and up to 8 days of standby time. Access Siri and Google Assistant at the touch of a button.